AMD on Thursday announced that it would be added to the NASDAQ 100 index of non-financial companies next week. The chip company will be added to the list due to its increased market capitalization, which is a result of successful launches of its Ryzen and EPYC processors as well as a regular product roadmap and cadence. The price of AMD’s stock has increased by nearly two times since mid-January 2017: from $9.75 per share to $18.49. As a result, AMD’s market capitalization at press time was $18.54 billion (based on data from Yahoo Finance). After reporting $1.653 billion in revenue and $102 million in net income for Q3 2018, the company has $1.06 billion in cash and has about $1.3 billion dollars in outstanding debts, gradually being paid back. What is perhaps more important than the most recent financial results is that AMD’s gross margins reached 40%. 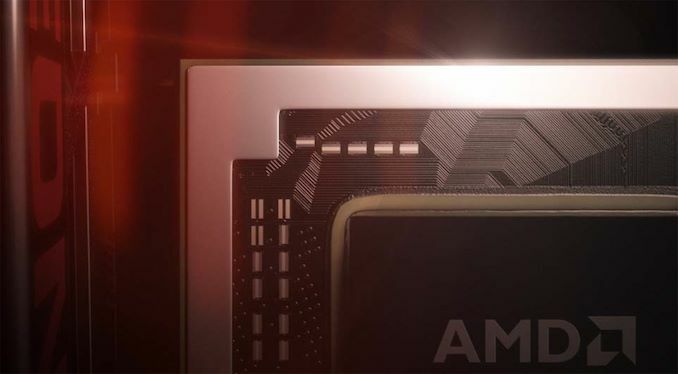 The company’s margins increased primarily because AMD can now compete against Intel in high-performance and high-margin desktops as well as servers. Virtually all leading suppliers of PCs and servers have introduced machines based on the Ryzen and EPYC CPUs. The latter are now offered by cloud providers, such as Amazon and Oracle. The company yet has to gain increased share inside notebooks, yet investors seem to be optimistic about its prospects. AMD’s addition to the NASDAQ 100 index will become effective when the market opens on Monday, December 24, 2018. Everything does look on track and somewhat cohesive for the company. Navi is comming at the perfect time. It should offer reduced cost of production. And considering the turing is the opposite that means that at any performance mark navi can meet it will outclass turing in performance per dollar. The only question is will it contest the top or only the middle ground? I think Seagate was incredibly late to the SSD game. WD was more forward thinking.